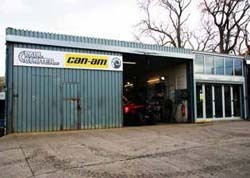 Paul Chuter ATV are main dealers for can-am quad bikes and side by side vehicles in Cumbria since 2001. 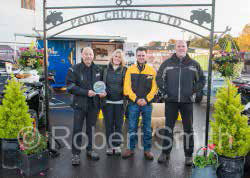 We have been awarded 'Dealer of the Year' for many consecutive years. Right Machinery, Right Price, Reliable Support. We aim to sell you the right machinery for your purpose, but also provide a friendly, efficient, reliable back up, together with any accessories you may require. 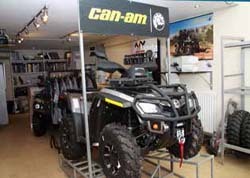 We offer a huge range of ATV's, from road legal versions, leisure models, 2-seater quad bikes, agricultural and commercial working quads through to top of the range sporting models, as well as side-by-side utility vehicles. We always have a good stock of quality used quad bikes and these can be delivered nationwide as well as exported. Our vast experience with ATV's, together with well equipped workshops in North Cumbria and well trained staff means we can of provide a high level of service and repairs to machines. 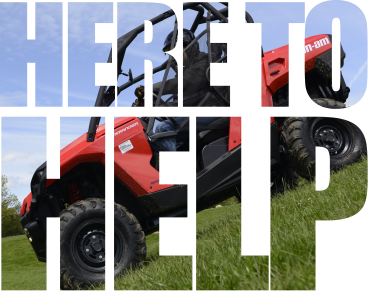 We can usually provide a temporary loan quad from our dedicated fleet of loan quads for farming and commercial customers whilst servicing and repairs are undertaken. 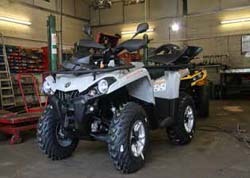 ATV Hire for both short and long term, is also available from us at competitive rates. We offer ATV hire throughout the UK and delivery/collection can be arranged. Logic offer a comprehensive range of quality, well designed equipment for ATV and 4x4.